Dr Mirosław Dworniczak, is a chemist who became interested in vaping after he quit smoking a few years ago. In a blog on Nicotine Science and Policy Blog, he discusses the common practice of Dry Burning. A dry burn takes place when a lot of power is applied to a bare coil in order to heat it and “clean it up” from manufacturing residuals, and is at times also used for alignment and spacing. However, according to specialists, this practice affects the structure of the alloy or the metal that the coil is made of on the surface, and may lead to the production of some unwanted particles that may stick to the aerosol and end up being ingested by the user. The question of burning dry was previously addressed by Dr Konstantinos Farsalinos who looked into the matter with the help of a material sciences expert, Pedro Carvalho. The researchers concluded that the practive should not be carried out on any type of coil. What is a coil made of? The chemical composition of heating elements is subject to trends, but always consists of a resistance wire that is exposed to an electric current. Different types of resistance wires are used and their grade and quality depend on the brand. As summarized by Dr Dworniczak, kanthal, stainless steel, nichrome and, lately, pure metals like nickel or titanium are generally used. Kanthal is an alloy of iron (Fe, 70%), chromium (Cr, 20-30%), and aluminium (Al, 4-7%). When heated, aluminium oxides form a protective layer on the surface of the wire. 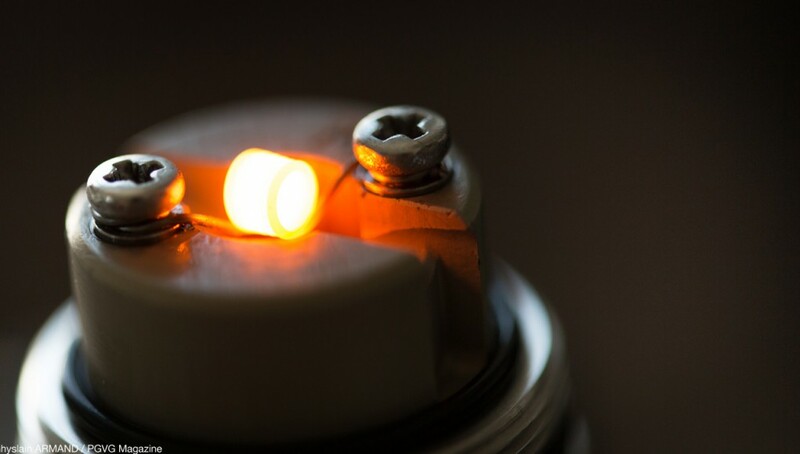 Kanthal is one of the rare alloys used in heating elements that do not allow temperature control by the most advanced mods. Nichrome is an alloy of Cr (80%) and nickel (Ni, 20%). When heated to a so called red hot temperature, an outer layer of chromium(III) oxide develops, which protects the heating element from further oxidation. Ni200 is a full Ni material. Nickel oxide forms when the wire is heated above 400°C. Depending on the degree of oxidation two types of oxide may be formed, green Ni oxide is inert but black Ni oxide is very reactive. Stainless steel (SS) has been introduced lately to the vapers market. Steel is an alloy of Fe and carbon (C). The stainless property of steel is due to the presence of at least 13% of Cr. Cr prevents chromium oxide from forming a protective layer. Some contaminants in the form of trace metals are present in SS. The classical SS316 contains also small amounts of molybdenum (Mo, 2.5%) and manganese (Mn, 2%). Why is a dry-burn dangerous? The coating of oxidized material that is formed on the surface can peel off during vaping and be transferred to the lungs at the same time as the aerosol, in the form of microscopic particles, or particulate matter. Particulate matter can cause allergies. Nickel, for example, is recognized for causing skin rashes, itching, redness. Ni is also a carcinogenic compound when combined with carbon monoxide (CO), a product of incomplete carbohydrate combustion. Hence, this type of toxicity is probably less relevant in the case of e-cigarettes than for combustible tobacco products. Particulate matter can also be toxic for organisms. Cases of such toxicity are for example found in cases of welders exposed to Mn oxides. According to the chemist, a dry burn may amplify the normal corrosion process at the surface of a coil and prematurely deteriorate the quality of the heating element. Toxic (for Mn) or carcinogenic effects (for the Cr(VI), a more oxidized form compared to Cr(III)) are improbable since the dose is minimal. An unintentional dry burn may also happen when the e-liquid runs short in the tank and the cotton is not wet enough. If this happens, one is advised to simply get rid of the burnt coil and to mount a brand new one. Similarly, it is not a good idea to re-use old coils since some level of corrosion would have probably already initiated and the surface of the metal would already be relatively more fragile. Despite the above, there is still no reason to think that a dry-burn would make vaping worse than smoking. Nevertheless, it does increase the risk of releasing potentially harmful compounds that may be inhaled by the user. 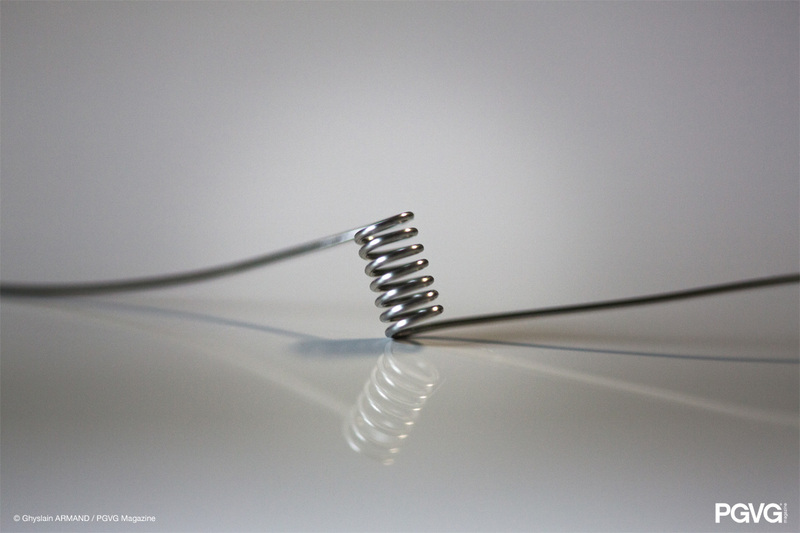 In order to check the consistency of a home-made coil and to clean it from manufacturing residuals, a moderate heating of the wire may be more appropriate. Additionally, using a coiler seems to help building coils in a reproducible way. Example of non-touching coils, with space between each wrap. Nowadays, heating elements made of ceramic are present on the market. The testing of such elements is underway and results may be made public shortly. On paper, such material appears to be a safer option than alloys or metals, but in reality there are two types of ceramic coils with two very different safety levels. Since we are so concerned with safety when it comes to selecting the best e-liquid quality and purchasing the most advanced mods that allow for temperature control, why not follow the experts’ advice and also avoid burning coils whilst ensuring that they are clean? Written by Jérome Harlay – edited by Diane Caruana.